Meeting the needs of our members, our industry, and our community. 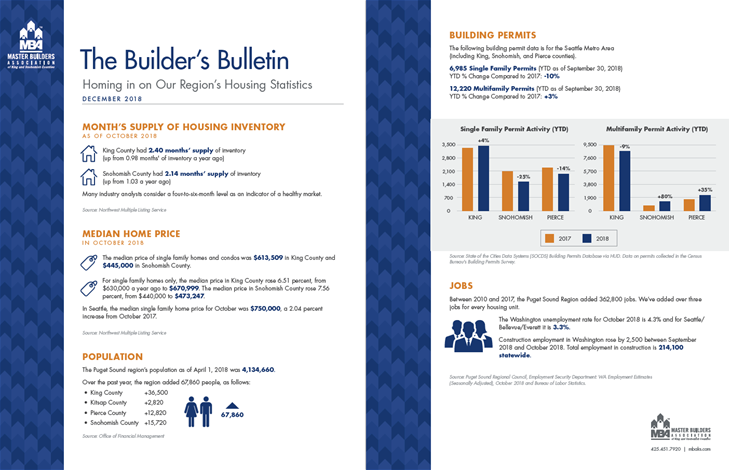 The Puget Sound region is booming. Now more than ever, we need people to enter the skilled trades to build the housing, commercial space, infrastructure, and transportation projects necessary to accommodate our growing community. We need people like you. Get a leg up and pursue a fulfilling career. Opportunity is knocking—answer the call. Stay in-the-know on this critical issue. Seeking an exciting, well-paying, hands-on career in the homebuilding industry? 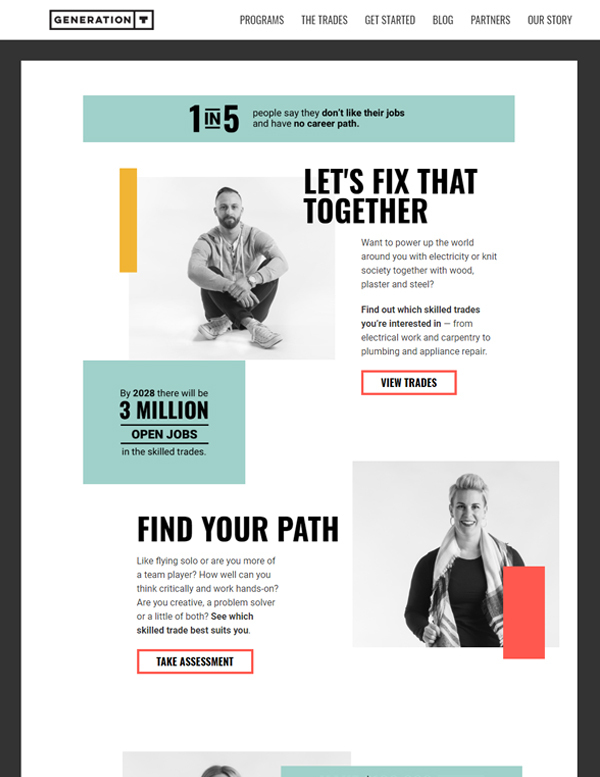 These programs can help you get there. Ready to take the next step? If you're dependable, a team-player, and hungry to learn, your future in the construction industry is waiting. 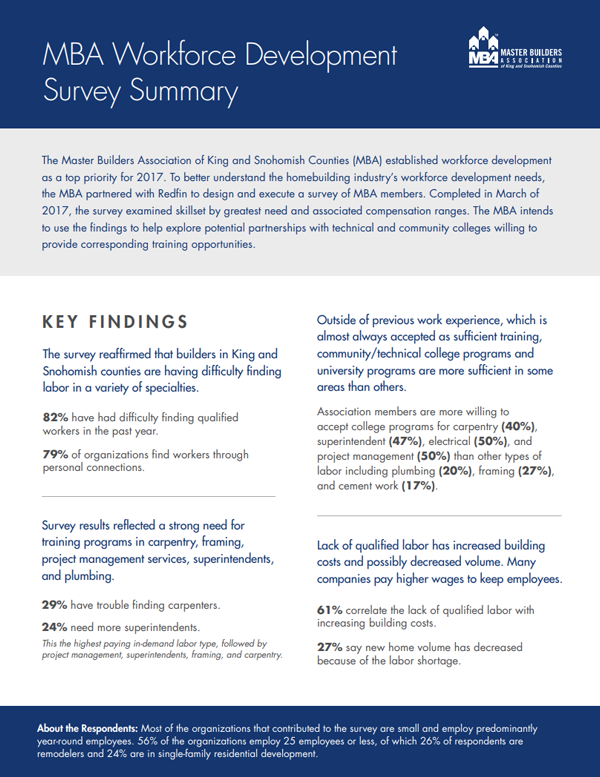 Learn more about the state of our industry and why workforce development is a critical issue for residential building professionals and the communities where we live and work. According to a March 2017 survey from MBAKS and Redfin.